Have a little too much to drink? Good to drive? Don't get behind the wheel without first consulting Blood Alcohol Scanner! 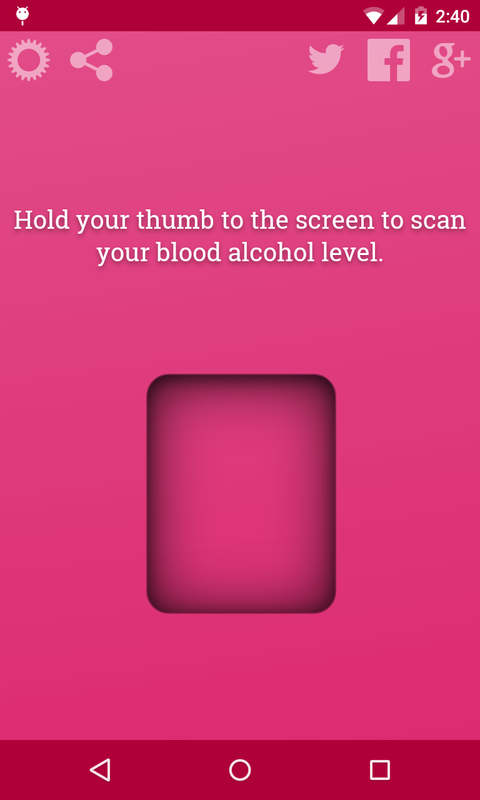 This is a fun gag app that scans your fingerprint and tries to determine your blood alcohol content. Great joke for parties, or for starting up a conversation with the girls at the club! 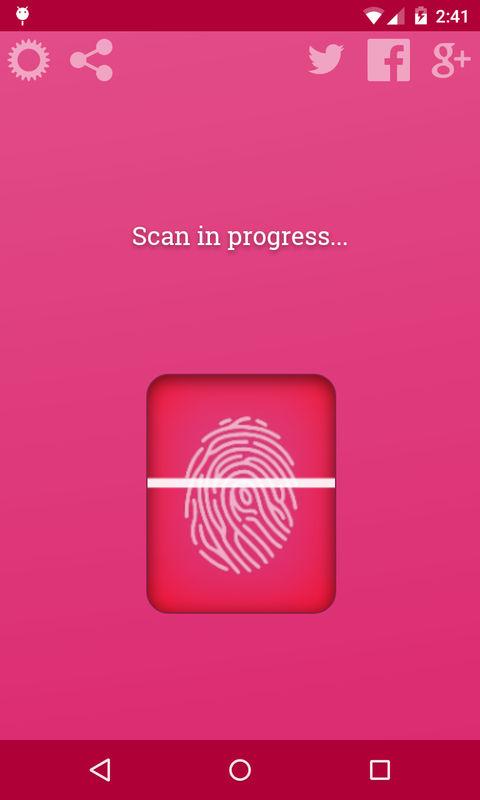 Blood Alcohol Scanner is now THE ultimate prank fingerprint blood alcohol test scanner app on the market with the new custom response feature. You can type in whatever you want the results of the scan to be! Perfect for pranking friends, playing jokes on your enemies, or impressing the ladies at the club!